Usually I’m thinking of mindfulness and I bring it to writing. Today, I’m thinking of writing and bringing it to mindfulness. 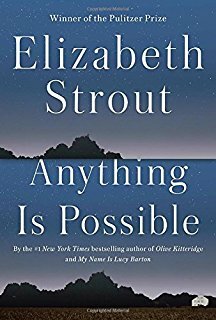 Recently, I saw Elizabeth Strout at the Free Library of Philadelphia. She’s on tour for her latest novel Anything Is Possible. Instead of giving a reading – the book had just come out – Strout was in conversation with the library’s events Assistant Director, Laura Kovacs. Listening to her talk about how she approaches writing and how she feels about her characters, I completely fell in love with her. She is smart, funny and wise.